Setting the stage for high-class amenities in Macau, guests of the award-winning Star World Casino are sure to be blown away by its magnificent services. Found in the heart of Macau, Star World is the epitome of the Macau lifestyle. This 39-storey hotel is the first 5-star hotel launched by the Galaxy Entertainment Group. Star World stays true to its name by providing its guests with services that embody the Asian spirit, and incorporating these with star-grade amenities that appeal to international guests as well. Star World Macau has earned prestigious awards like the 5-Star Diamond Award, given by the American Academy of Hospitality Sciences, so guests of the hotel can rest assured that they are in good hands when they stay at the Star World. Star World offers its guests nothing but the best at their Mass Gaming area. Stretching to over 140,000 feet, the Mass Gaming Area has nearly 250 tables and over 240 slot machines. Among the numerous games they have on offer are Baccarat, Blackjack and Sicbo. Of course, there are many different clubs in the Star World Casino. Among them, however, the Poker King Club stands out. Home of the world’s largest cash game, it is also Macau’s favourite poker room, with well-known players such as Tom Dwan and Johnny Chan frequenting the room. It’s truly the best place to see poker as played by the most skilled professionals in Macau. Those who feel a bit intimidated by set limits also need not worry, as the Poker King Club offers cash games with various limits to appeal to all sorts of players. It’s also the only poker room in all of Macau that offers rewards points to loyal members, which they can then use to redeem gifts and services like ferry tickets, hotel room bookings, and even food and beverage vouchers. The 16th floor of the Star World Casino houses a secluded garden, as well as the famous Temptations restaurant. Temptations offers diners contemporary and international cuisine, with dimsum and Cantonese set lunches, and even international treats fit for a king. A Cake of the Month is selected regularly, allowing for a versatile menu that thousands of patrons continue to enjoy. And, of course, what’s a casino without a bar? 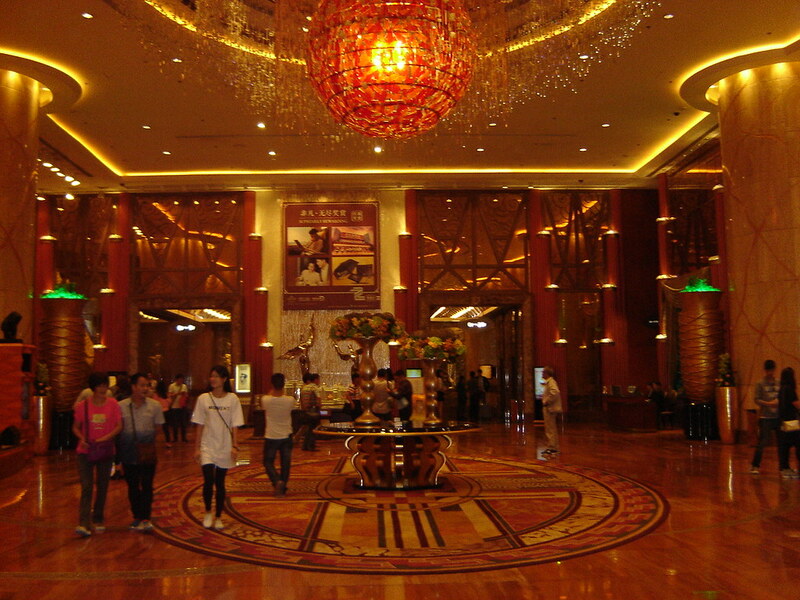 The Star World offers two bar areas to its guests, each catering to a different kind of casino-goer. Conveniently located right next to the Temptations restaurant, the Whisky Bar offers a wide range of custom cocktails to suit anyone’s tastes. Live music performances also grace the Whisky Bar regularly, providing a lively atmosphere to its guests. The Lobby Lounge, on the other hand, is a much quieter bar, ideal for those meeting business partners or trying to unwind after a long night at the tables. Besides all the gaming and great food, Star World offers its guests activities to keep the crowd going. Show up at Sundays from 10pm to 12am to avail of their buy one take one promotion on drinks! They also have Star Voices located at the Whisky Bar, which is a concert that features the original music of Macau. Star World does not have a specific dress code although it does not allow shorts and flip flops. Wearing of pants, a nice shirt and shoes is allowed. Star World has an array of membership clubs that guests can choose from. The Galaxy Club allows patrons to sign up for Gold, Platinum, Pavilion Platinum and Pavilion Black membership cards, which can allow them to avail of different discounts. There are also VIP clubs that allow their members to play in secluded private gaming areas, and eat in private dining areas. Rates in the different clubs can be discussed with personnel who are in charge of applications.